‘In an American journal I read a prominent English writer was described as ‘very British’. What can it mean to be ‘very British’? Could I be described in this way? Can my work be described as ‘very British’? No, not by people in Britain, or by those with a thorough knowledge of the situation. The controlling interest in ‘Britishness’ is ‘Englishness’. This ‘Englishness’ is perceived as Anglo-Saxon. It is more clearly an assertion of the values of upper-class England, and their validity despite all and in defiance of all. Power is a function of its privileged ruling elite. To be properly ‘British’ is to submit to English hierarchy and to recognise, affirm and assert the glory of its value system. This is achieved domestically on a daily basis within ‘British’ education and cultural institutions. Those who oppose this supremacist ideology are criticised for not being properly British, condemned as unpatriotic. Those Scottish, Welsh or Irish people who oppose this supremacist ideology are condemned as anti-English. The ‘British way’ is sold at home and abroad as a thing of beauty, a self-sufficient entity that comes complete with its own ethical system, sturdy and robust, guaranteed to outlast all others. British people are led to believe that the Royal Family are admired, loved and glorified across the globe. Should another Solar System contain life upon any of its myriad planets its inhabitants will not only accede to the Christian church but acknowledge the Head of the English Royal Family as Defender of the Faith, in competition with the Pope, standing next in line to God. A colonial or imperial context helps clarify the argument. The key is class. ‘Scottishness’ equates to class and class equals conflict. Even within Scotland we can be criticised for this. The work of writers deemed ‘too Scottish’ shares a class background. Occasionally we are condemned for confining our fiction to the world of the urban working class. This suggests that for working class people cultural boundaries are fixed in place. Their world is an entirety of experience, culturally as well as economic. None can step beyond the limits of that world. It is a world barren of the finer things in life which are not only material but spiritual. Working class people cannot engage with art and philosophy. In their world there is no art and philosophy. This elitism is straightforward and at the heart of the hostility but, as with racism, is seldom remarked upon within the establishment and mainstrean media. It rarely occurs to critics that working class people might read ‘proper’ books or look at paintings as opposed to ‘pictures on the wall’. When it does occur to them it is treated as a phenomenon. They do not progress to the discovery that the life of one human being is as valid as another, that the life experience of one section of society is as diverse as another. The bourgeoisie tend to go with the colonisers and the imperialists as a means of personal and group survival, and advancement. They quickly buy into the culture of the ruling elite. Indigenous languages and cultures are kept alive by those at the lower end of society. In India and much of Africa, as well as Australasia and North America, the voice of authority continues to be English. The lower order groups keep alive the local, the richness of the indigenous lanuages, the indigenous aethetic, the culture – as best they can, not necessarily by choice or intention. The proletariat and other lower order groups do not have much of a choice. Typically education is denied them, their languages and cultural markers are proscribed, regarded as weapons. To use these language or cultural markers is seen as cultural vandalism or acts of terrorism. Since the 18th century the cultural and linguistic movement of the Scottish bourgeoisie and ruling elite is total assimiliation to Britishness where Englishness is the controlling interest. Scotland has its own languages too, and these are ‘living languages’, kept alive by people using them who, generally, are working class. Scottish literary artists have worked in these languages for centuries. Even where the writers are not themselves working class in origin the subject matter of the work is, as we see in some of the writings of Walter Scott or R.L. Stevenson. Scotland also has its own philosophical, legal, religious, literary and educational traditions, and most of this too is marginalised. Scottish educators have to fight Scottish institutions to find a place for Scottish philosophy, literature and education itself. Many English people sympathise with the plight of Scottish culture; they see cultures and traditions marginalised everywhere, and recognise also the plight faced by people from Yorkshire, Cornwall, Northumbria, Cumbria, Somerset, Lancashire and so on. The difference is that Scotland is not an English county, it is a British country. It will continue to be a British country whether or not we are governed from London, England. This is because Great Britain is a geographical entity. It is a mistake to attribute particular sensibilities or character traits to the millions of people who live in its countries of Wales, England and Scotland. And then there is the north of Ireland. People are right to treat nationalism with caution. None more than Scottish people who favour self determination. Any form of nationalism is dangerous, and should be treated with caution. I cannot accept nationalism and I am not a Scottish Nationalist. But once that is said, I favour a ‘yes or no’ decision on independence and I shall vote ‘yes’ to independence. Countries should determine their own existence and Scotland is a country. The decision is not managerial. It belongs to the people of Scotland. We are the country. There are no countries on Mars. This is because there are no people on Mars. How we move ahead here in Scotland is a process that can happen only when the present chains are disassembled, and discarded, when the majority people seize the right, and burden, of self determination. The Nationalist Party has exposed its weakness in this area. Under their leadership ‘independence’ may be distinguished from ‘self determination’. In his speech of 25.1.2012 Alex Salmond declared: “With independence we will have a new social union with the other nations of these islands and will continue to share Her Majesty the Queen as Head of State.” This returns us to the 17th Century when the ruling elite in Scotland retained their own Parliament but shared kingship with England and Wales. During this period all major policy matters concerning army and international affairs were settled not by the so-called ‘Scottish Parliament’ but in the Palace of Westminster. That so-called ‘Scottish Parliament’ belonged to such a tiny group of aristocrats, landowners and corrupt placemen that there is little point discussing it when we refer to the issue of self determination. The majority Scottish people have never experienced self determination at any time in history. The British establishment left, right and centre are as one in their opposition to Scottish self determination. This applies to the many Scottish politicians of the Tory Party, the Labour Party and the Liberal-Democrat Party who ‘cross the political divide’ to stand together in defence of the Union. It is useful to see this priority expressed so clearly. This type of united front is common in situations of war..
For many people, not only career politicians, a benign paternalism is preferable to independence. A similar choice is faced by adolescents. Should we leave home and live as self determining adults or stay home and enjoy the comforts provided by mum and dad? The Scottish Nationalists’ push to subject the majority people to a Royal Family pays homage to another tradition associated with ‘Scottish identity’: submission and servitude to the ruling elite. Manna for Empire builders and Colonialists. Dependency is at the root of this aspect of ‘Scottish identity’. There may be a ‘right’ of self determination; on the other hand there may not. Even if there is such a right it need not be exercised. Siding with the imperialist is a better option: dogs brought to heel can be robbed of their bones. Scottish people are encouraged by the establishment to take pride in their service to the Monarch, the Royal Family and all of its subjects. Scottish children are taught to glorify submission and servitude, embodied in the myth of “the Scottish soldier who wandered faraway and soldiered faraway” in the retention of British authority and the denial to the majority people both foreign and domestic, of the right of self determination. There are centuries of imperialist myth-making, misinformation and propaganda to disentangle. Clan allegiance has been strong in the highlands and islands of Scotland, as has religious difference throughout the country. This continued throughout the 17th and on through the 18th century until the Battle of Culloden in 1746 when the clan system and Jacobitism was effectively destroyed. The British State has sought to deny the right to self determination consistently over the past few hundred years in Africa, the Americas, Ireland, the Indian Sub-continent, South East Asia or Australiasia. The State has used every argument it can to cling onto power and when necessary applied the requisite dirty tricks, and finally moved in the army to achieve their objective, at whatever cost, including the slaughter of innocents. Unfortunately religious difference remains significant into the 21st Century. The Scottish Nationalists support for such an intrinsically British institution will appears as a sop not only to Unionist sympathisers but to ‘the Protestant vote’. This opens a nasty sore on the Scottish political and cultural scene. Traditionally, Protestants are anti-Republican Unionists who regard the King or Queen of England as Defender of the Faith. Roman Catholics are believed to favour Republicanism. In Scotland many people confuse ‘Republicanism’ ‘Roman Catholicism’ and ‘Irishness’. Some believe them to be one and the same thing. The subtext to their ‘pro-Unionist, anti-Republican stance is sectarian racism: anti-Catholic anti-Irish. Others in Scotland will view the Nationalist retention of the British Monarchy in these terms. To what extent religious sectarianism will play a part in the move towards independence is unknown but few politicians will want to become embroiled in this. The Nationalists have stated elsewhere that they are in favour of lifting the ban on Roman Catholics holding the Monarchy. This may set the minds of some to rest. The continuing debate in Britain is led by the establishment and mainstream media and focuses on whether or not independence is ‘good for Scotland’. This is a red herring. It is an argument from self interest and therefore secondary. The economic consequences of self determination are important but is not and cannot be the central issue. Experts and specialists debate on the deployment of capital resources; defence and foreign policy, business & industry; health and welfare issues, religions and secularism. Shall Scotland seek to enter NATO, the UN, the British Commonwealth, the European Union? What will happen to ‘our’ soldiers and ‘our’ army-towns, ‘our’ battleships, warplanes, tanks and submarines. What effects will independence have upon our relationships with the USA, with England, Wales and Ireland, not to mention Spain, Italy, Israel, Turkey and all those other countries keeping the lid on their own governance issues. Imperialists and colonisers lay down the judgment that there is no ‘right’ of self determination. But that judgment has no place in the 21st Century. The right to self determination inheres in every adult human being and distinguishes us from animals, mammals, birds, fowls or fish. No one grants us this right. It is not allowed to us by a benign authority. People exercise the right. It can only be denied to us, as it is denied to the vast majority of the world’s population. Ultimately there is only one issue: the right to self determination. Underlying the ‘good for Scotland’ debate is the denial of that right. People can be subjected to hideous forms of torture and mutiliation, and for some it ends in death. This may be rationalised by the perpetrators who deny their victims humanity. Their death carries less value than if the victims were ‘100 percent’ human. Neo-fascism is illustrated where the burden of proof is placed upon human beings to provide evidence of their humanity. Some fall into the trap of accepting the burden of proof. They seek to provide evidence to establish their own humanity. They can only fail. Humanity cannot be ‘granted’ or ‘allowed’ them. They already are human. Their humanity is being denied. We are talking about freedom. We exercise freedom. If freedom be denied us we seize it as our right. No one gives us our freedom. We take it. If it is denied us we continue to take it. We have no choice. If it is taken from us and we allow it to be taken from us then we are colluding in our own subjection. From our friends at Christie Books. As an ageing Scot who’s voted Labour for decades until my recent switch to SSP then SNP in the last decade, I now find myself in a quandry because I want to support the Pirate Party UK whilst trying to retain my new-found desire to vote SNP. Clearly I cannot do both, yet both are so important to me – albeit for very different reasons. I suppose a solution could be found if the SNP would, like the Green Party, adopt the principle aims and objectives of the (mainly) single-issue Pirate Party movement. Now THAT would be refreshing and make life far easier for many of us – but it would have to be done sincerely and ‘officially’ as per the SNP manifesto. Are the pirate party affiliated to the Church of the Flying Spaghetti Monster ? While I agree with almost all that you say, is it not clear that Republicanism is a further step on a difficult road? Let us achieve self-determination first, and then address the questions of monarchy, Europe, NATO, etc. One war at a time. 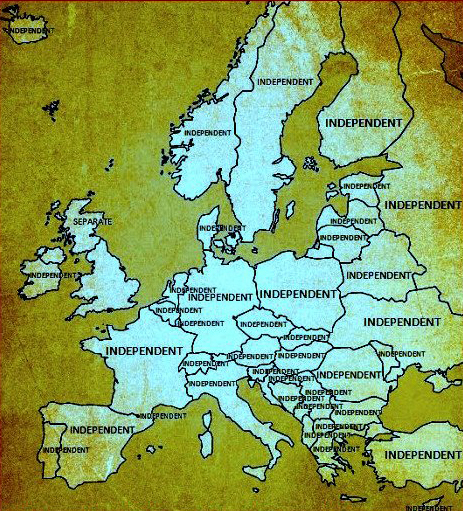 Without Independence the questions of monarchy, NATO, and the EU will never be raised. Pragmatic Republicans should be keeping their powder dry. Betty Windsor is old; Jug Ears is as popular as drinking cold sick. … and would somebody tell Kelman that the “N” in SNP stands for “National” not “Nationalist”. Let’s have this thing done with and move on from our thralldom – this as much as the rest. No mention of Lygate in the pantheon enumerated. Unsurprising as he is not safely rotted in the earth yet and decomposed enough for footdragger anti-imperialists to sanitise. An end to this and turgid that of a midden stinking, centuries old scandal needs done, or not. Continued dehumanisation or imperfect attempt at becoming fully human after the stunted generations imposed upon us by a parasite. And not grudgingly repudiated in Holy Willie style where the Pharisee scents what “new” way the winds are blowing through the widening gaps in the decrepit temple. ‘We seize freedom as our right’. The Scottish people have never experienced self-determination even in the days when they were in the eyes of others an independent country. In the oldest democracy and the mother of parliaments, the adoescent nation is unsure and for those that are sure and who can sacrifice access to mother’s washing machine at weekends its a case of not startling the horses…(mixedmetaphor-a-rama!) Softly softly on the long road which is a continium steadily pressing forward to a tipping point. I take all Kelman’s points on Nationalism,heirarchy,republicanism and religion. I am with him there but willing to delay the rewards while the foundation stones are laid on the basic premise of self-determination. The first and third are innocuous (Scottish nationalism is actually given as an example of the third), but the prevailing propaganda aims to suggest that all nationalisms conform to the second definition, the only one which is clearly a Bad Thing. I should have thought a writer would be aware of these differences of meaning – they are rather more than nuance. David McEwan Hill points out that Kelman is a nationalist by the third definition – for all we know he might also fit the first. I doubt that anyone could suspect him of the second. And then on the other hand we seem to be back to the proposition that everything must be perfect before independence. I feel much more distaste (fear, even) for NATO and the EU than for the monarchy, though it would be splendid to be rid of all three. Independence is the only available route to that possibility. Wonderful map! Picture – thousand words . . what’s not to like. With respect to the the retention of Monarchy: surely this is simply a matter of political necessity, in that it removes from the indy campaign one tool the colonialists could use to dissuade waverers from taking the plunge. No matter what Salmond may say, there are many of us geared-up for a plebiscite on scrapping that institution post independence – Salmond doesn’t get to make that choice, the People do (and I doubt that privately, he would disagree with that). Interesting piece. Considering the current plutocratic and financial hegemonies which dominate the West, it makes you question what the concept of ‘freedom’ actually means. Salmond’s maneuverings, so far, only seem to reinforce Kelman’s assertion that “The bourgeoisie tend to go with the colonisers and the imperialists as a means of personal and group survival, and advancement. They quickly buy into the culture of the ruling elite.” – Murdoch, Trump, Souter, Goodwin, Bank of England, The Queen. Looks like he’s doing that already. Robert the Bruce, for a historic example, was the match of the monarchic English gangster Edward. So, just as Kelman implied, could the result of the wars of independence really be considered as ‘freedom’ for your average everyday Scots Jock – not really. Not at all, in fact. I’ve been accused of; personifying the Scottish cringe, being a Unionist or anti-Scottish or English or a troll, for voicing the plausible fear that reactionary forces could be unleashed if independence looked like being achievable. Anyone care to explain why the themes in Kelman’s polemic are any different? Well, those things which Kelman describes have actually happened in the past. He’s not there talking about the future. So he was right to bring up the past atrocities of the British state now? Do make up your mind. Good article, but please don’t describe Cornwall as a county or it’s people as English – neither of these points is true. No, I suppose is the short answer. What do you (you personally) want and how would you seek to achieve it? There is really no point in your thrashing about here if you don’t want what we want, or think you might but can imagine a smarter route. Enlighten us, please, or be dismissed. I’m not going to ‘enlighten’ anyone or ‘be dismissed’ so long as my vote counts the same as anyone elses. The arrogant tone of the sentence speaks volumes about the person writing it – your majesty. There’s no such thing as a ‘smarter route’ here. Clearly, lexiphanic Gauleiters think there is. Independence – Take it or Leave it, is a routeless cul-de-sac option. Take a look at the excellent International Socialism piece linked to by Bella Caledonia. One of the conclusions it makes regarding the popular compromise option of Devo Max (whatever) is that Nationalists and Unionists could settle on it without losing too much face in the eyes of their supporters.. If that doesn’t provide enlightenment for you (you personally) then you know where you can stick it. I would argue that the arrogance and imperialism that rubs the wrong way is actually a hangover from the Norman conquest and doesn’t owe as much to Anglo-Saxon heritage. This can explain the division within England itself. Every Englishman’s home is his castle, but it was the Normans who built castles and it was the Normans that introduced the feudal society that underpins much of “Englishmen’s” attitudes to justice and privilege so evident today. The irony being that the Normans were descended from the Norse, with whom the Anglo-Saxons actually had a great deal in common with, not least due to the periods of Danish rule over England. It must be the Gallic influence. While I admire James Kelman as a writer, any application of his politics to the real world would turn Scotland into North Korea in short order. Which is why people won’t vote for his brand of socialism in an independent democratic Scotland. They’re not that suicidal. And yet he himself makes grand assumptions about Scotland’s “bourgeoisie”; the nation’s political, social and cultural elites’; and those he demonises as anglo-centric “colonialists”. I grew up in middle-class Edinburgh, went to a private school and have generally lived in a world where much of my culture has come as much from sources outside Scotland as those within it. I can’t help but think that Kelman would view this as being a less legitimate cultural background than that arising from his favoured socialist, working class Scotland. Cultural bigotry is obscene, whichever direction it’s coming from. A marvellous essay – I see neither North Korean risk nor bigotry, cultural or otherwise, in it. But then I see the yes vote as an opportunity to throw off the lies, obsfucations and manipulations, drip fed under the heavy cloak of ‘tradition’, as the first step in Scotland’s second enlightenment. Which, by definition, will be the first enlightenment where the ordinary Jocks and Jeans will have the right and opportunity to shape their democracy and its governance. Me! I’d plump for egalitarian excellence every time over elitism, but there again, I look down on snobs. Repugnant? Monarchy or the SNP? I like you would like to see a republic for a future Scotland, however I don’t find the SNP’s allegiance to a Scot’s monarch as being a problem. If we as a people, Scotland, want to be a republic then we have no right to do it while we are in somebody else’s house. It’s rude and dis-honourable. Once Scotland is independent it can have a referendum about the monarchy, about splitting the Union of the Crowns. Once Scotland has it’s own monarch again, then we can have another referendum to remove that monarchy from our political system. If we are to remove the monarchy, let it be our monarchy we remove. It’s up to others to decide about the fates of their own countries and monarchies. Anything else would be an dishonourable act worthy of many a king. We must not stoop to the level of “kings”, we must act like men.